Salaam, Hello, Hola qué tal and Suilad, dear readers! My name is Manal and I am a freelance writer, photographer, researcher, traveler and adventurer (yes, I believe that can be a job description). I spent the first 22 years of my life in Lahore, Pakistan, and since then have lived in Berkeley (California), Ithaca and Brooklyn (New York), and Madrid (Spain). I’ve presently alighted in Washington, D.C., where I’m getting acquainted with the city and trying to find gainful employment. 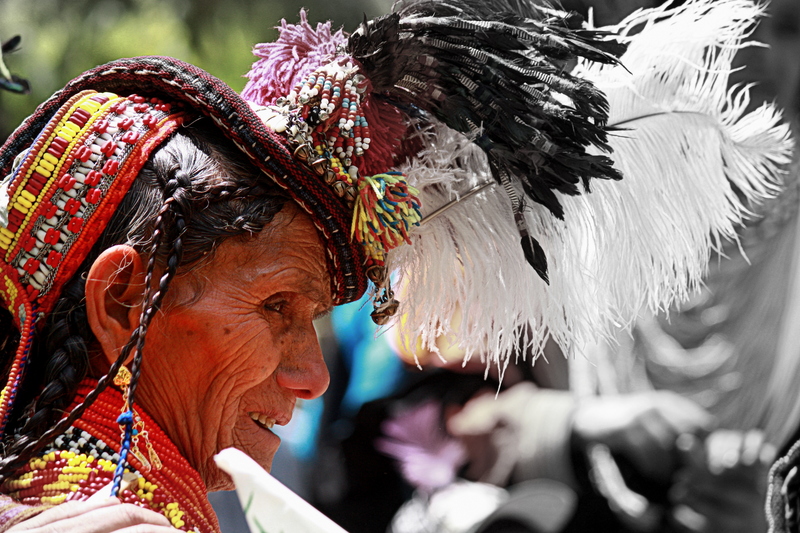 I enjoy writing nonfiction, mostly personal musings and observations, but as a trained journalist, I also do features, profiles, reviews, travel stories, brochures, photo & video packages. So relax, look around, read some of my windswept words over a cup of coffee, and drop me a line if you would like me to contribute to your website or publication – or just to say hello! I grew up in Lahore, Pakistan, an ancient city of lilting neem trees, grand Mughal ruins and bouganvillea-creepered bungalows, crowded bazaars, roadside samosa and jalebi stalls and American fast-food chains; a city of shantytowns, shrines and boulevards, a city of dreams, destitution, beggars and kings – a city of contradictions. Writing was my first love, journalism my cause, and it eventually took me to Journalism School at UC Berkeley. As a teenager I nurtured dreams of being an international war correspondent; now, I find politics frustrating and false, front page news inexorably depressing and untrustworthy. So, a year after J-school, marriage, and long snowy days spent cooking or contemplating in the company of Marquez, Allende, Mahfouz, Tagore and Rumi, I have created this blog to rediscover the joy of writing for itself. There is no specific theme or topic – just words and ideas swept out of the corners of my mind, accumulated over the past so many years, when school, college, deadlines, word limits, grades or paychecks distracted me from my first love. I hope to keep it up. It gladdens my heart to discover another individual who is making our lives more interesting. One always new about, the lake Saif ul Maluk, but the associated wonderful tale of Mian Mohammad Buksh never reached a large portion of our society in prose. Your painstaking efforts to extract and reveal this lovely story are commendable. Living in California, you could probably pass the idea around some Holywood circles involved in the production of animated feature films. I am also fond of writing but in Urdu. I am writing a Sefernama. can I post in Urdu. This is my first meeting with you…Yes I feel like I have spent the past few hours in your company. Although its my working day, sitting in the office after arduous hours of non-stop work, i like to take a few minutes break of causal browsing or blog-reading. I have recently discovered my quest for digging pakistani blog-writers and to my surprise I am absolutely delighted to have successfully added a few wonderful writers in my list. and today I have added yet another beautiful writer-Ms. Manal. Your stories are an absolute treat, i would like to give you the title of my favorite sweet – Gulab Jaman. “You are the Gulab Jaman to my mind.” I have just finished reading all your blogs…yes all your blogs….at WORK! I cant believe myself coz im a typical workoholic. But what attracted me most was your adventurous nature I am extreme adventure lover! I hope you dont change coz I want to keep reading your travel stories. Plus your awesome hand at photography is the cherry to my cake. see ya soon…which means i hope you post something soon. And if at anyday you turn south and find yourself in the city of lights….karachi….Please don’t forget to drop in an email coz id love to meet you. Your loyal reader from now-onwards! 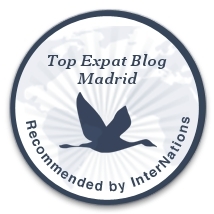 We quite enjoy your blog about living in Madrid, it is very interesting and informative. Would it be possible to interview you to further share some of your tips and feature some of your first hand experience as an Expat and your interview will be published on our Expat Interview section as a guide for our expat readers. The questions are mainly about the day to day lifestyle of an expat. If it would be possible, could you also send some photographs that we can use? I have just seen your video about the Pakistani community living in Barcelona (http://vimeo.com/9183056) . We are preparing a video for a European Union competition and we are looking for some people who we could interview. Would you please mind giving me some information about the man who speaks in Spanish at the beginning and the end of the video, talking about his hard work in Spain and that he feels that Spain is his home-country now? We will really appreciate it. I live in Barcelona, in El Raval. Hi, you have a great blog and live an amazing life. I’m nominating you for the VBA award. =) Enjoy your travels! hello, Bobby here from Canada. I thought i would read what you have to say. Your blog touched me. I am looking forward to following you! you have an interesting site. i am on Flickr too. Found ur blog again. Looooved Saif ul Maluk (can’t wait for part 2) and loooved Change!!! Keep going!!! Hi Manal! Its been days u havent write or u might have written but havent posted yet. =) I am really fond of your articles n da way u brought the words so close to nature. Its amazing! Please write something……Anxiously waiting for your new article! I like the bit “and ideas swept out of the corners of my mind….when school, college, deadlines, wordlimits, grades or paychecks distracted me from my first love”. This is great, brings tears of joy. Like to see some more good photography. Remember your very First article “Free my World” which got you in the World Junior Summit, you should post that also and your experience at ITU World Telecom Geneva.